I first met Paul almost two years ago. At that time, we met to speak about his experience of coal exploration within the area where he lives and his thoughts about the future of coal. Due to the poor state of the road on which he lives, he picked my colleagues and myself up in his 4WD. As we got into the car, he asked us to listen to a song. ‘This could have been a song about my village, Wollar’, he said. The song, Paradise by John Prine, tells the story about strip-mining in Kentucky. Prine’s lyrics evocatively illustrate the power that a coal company can have over a local community, individuals, their memories, and their sense of past and future. It tells the story of changing landscapes, where ‘Mr Peabody’s coal train has hauled’ away ‘the Green River where Paradise lay’. Similar to Paradise, referred to in various online blogs as a ‘ghost town’, Wollar is today a deserted village. In Wollar, as in Paradise, the US-based coal company Peabody has stripped away the land and, in the process, changed not only the physical landscape where the pit sits, but also Wollar as a place in which the geophysical intertwines with dynamics of sociality and spirituality. 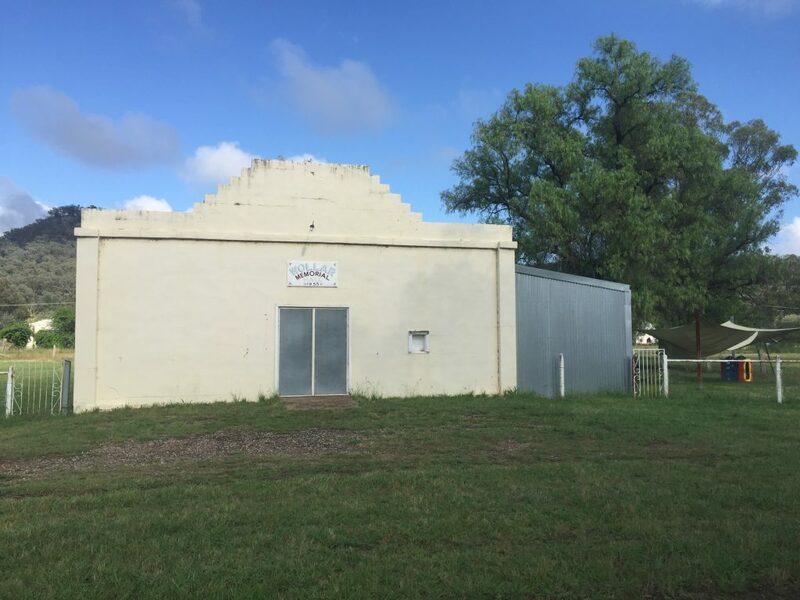 Wollar Community Hall. Picture by Hedda Askland. Situated within what is known as the western coalfields of New South Wales (NSW) and surrounded by three open cut coalmines, Wollar has become one of the latest casualties in Australia’s and, more specifically, NSW’s pursuit for coal revenue and economic progress. In addition to the Peabody owned mine, Wilpinjong, Wollar backs on to Glencore’s Ulan Coal Mines and Yancoal’s Moolarben Coal. Whilst coal mining has a long history in the region, technological advancement in open-cut coal mining and high international coal prices led to a rapid intensification of mining in the area in the late 20th century. 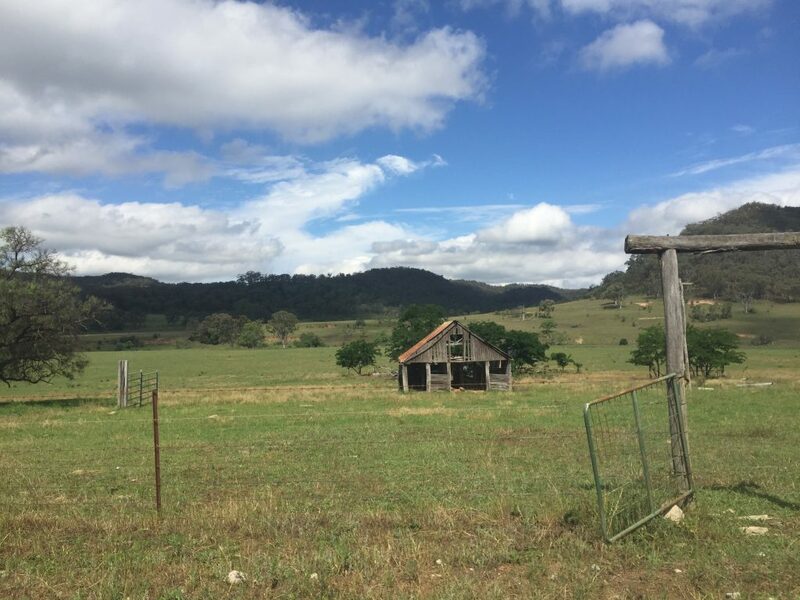 The encroachment of coal has been explored by Professor of Anthropology at the University of Sydney, Linda Connor (2016), who writes about the impact of Australia’s mining industry on local communities in the NSW coalfield of the Hunter Valley. ‘Whilst never Australia’s “biggest industry”,’ she explains, ‘coal was integral to nineteenth-century colonialism, industrialisation and food production’ and ‘[m]ining of Hunter coal began early and grew apace’ (Connor 2016: 103). Whilst official statistics are imprecise and patchy, a pattern of steady growth of a coal-dependent energy economy emerged from the late 1800s. By the 1950s, national annual production of saleable coal was at 11 million tonnes (Mt), doubling consecutively over the next two decades to 23 Mt in the 1960s and 45 Mt in the 1970s (Connor 2016: 104). Wilpinjong coal mine. Picture by Hedda Askland. One of the coalmines surrounding Wollar, Ulan, dates back beyond this time and has close to a 100-year history. For a long time, this mine coexisted peacefully with the community; indeed, according to the participants of my research, it was seen as a central part of the local economy and community. Lisa (a pseudonym), for example, explained how Ulan coal used to mine with a pit pony. ‘Mary was her name’, she told me, ‘the coal…it was just a very small operation… It was in the 1980s that the open cut started. It’s a very big difference’. Connor (2016: 104) explains this change, arguing that as coal operations ‘emerged from their underground world and manifested across increasing swathes of rural and bushland landscapes in new magnitudes of scale’, ‘a radical restructuring of rural spatial relations’ took place. The landscapes of the NSW coal fields—particularly those of the Hunter Valley—have left manifestations of ‘colliding ecologies’ (Kirsch 2014, in Connor 2016: 104), visible in massive mines and final voids. The coal mines of the Hunter Valley alone today have a capacity to produce over 200 Mt of coal, with royalties from coal production having tripled in the period between 2003 and 2011 reaching AUS$1.36 billion in 2011-2012 (Connor 2016: 104). Whilst the intensification of coal mining has led to tremendous revenue, employment and regional development, it has at the same time divided regions and communities. A distinct underclass has developed, characterised by disempowered and dispossessed local communities. Wollar is one of these communities. 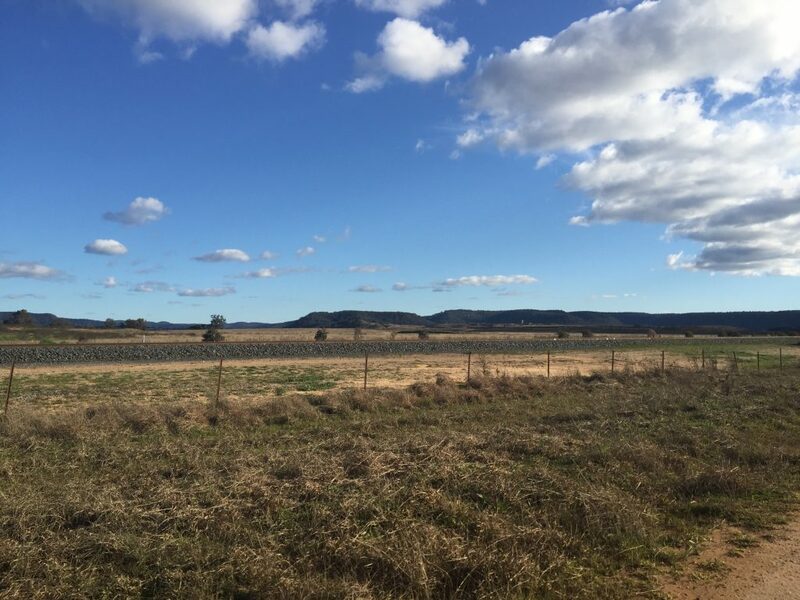 Since Wilpinjong opened in 2006 as the first green field mine of NSW in the 21st century, the community has been reduced to a shadow of its former self. Identified as an area with a rich coal resource with a distinct domestic market, Wollar became subject to mining interests in the late 1990s. Excel Coal, one of the interested parties, subsequently started purchasing strategic properties in the area. According to one of my key informants, Lee (a pseudonym), by the time the exploration licence was put out for tender, Excel already owned the land under which the resource was found and held the contract to the local power station, to which most of the Wilpinjong coal is sold. Whilst the mine was not approved until February 2006, after which Peabody immediately purchased the mine from Excel, the impact of the new mine was evident from the onset. One of the key farms and the adjacent smaller holdings had been bought up and, as the mining operations got started and the mine’s footprint was enlarged, more and more properties were bought up, houses were abandoned, and more and more people moved away. The mining activity has had significant social impacts through issues such as noise, dust and vibrations. It is, however, the hollowing of the community that has led people such as Paul and Lisa to despair. Today there is less than 10% of the pre-Wilpinjong population left in the area. There has been a gradual loss of services, the local mechanics have moved away and the local shop—previously a centre for social activity—is now owned by Peabody and only offers basic, and very expensive, goods. The two churches have been closed, the local fire brigade has been amalgamated with Cooks Gap Fire Brigade 50km away, and the village itself has become desolated with only a handful of local residents remaining. Even Peabody and the NSW Department of Environment and Planning acknowledge the impact mining has had on the village, claiming in the latest social impact assessment for an extension of Wilpinjong that Wollar has become unviable. Abandoned farm house. Picture by Hedda taken Askland. When I last met Paul, that hot summer’s day at the bank of the flowing river, he expressed a deep sense of sorrow. ‘I wanted to die here’, he said. ‘Now, I don’t have a life here but I am living. Life has become a living hell. Everything has changed, even the river. Yet I’m stuck, I can’t get out of here.’ In Australia, the benefits of mining have seen the country prosper. But behind this prosperity, new forms of poverty and dispossession have emerged. Great article Hedda. Thanks for taking time to research the full impact of this madness. It makes me feel very emotional and sad to read about the conversations you had with the local people – I too feel a huge loss of the identity of my ancestors who lived a happy and productive life farming the land. Thanks again. Without a backward glance, our governments condoned the destruction of viable communities by foreign, duplicitous mining companies for quick bucks. History and the eco system scooped out with the coal. And when it’s all over, what then?